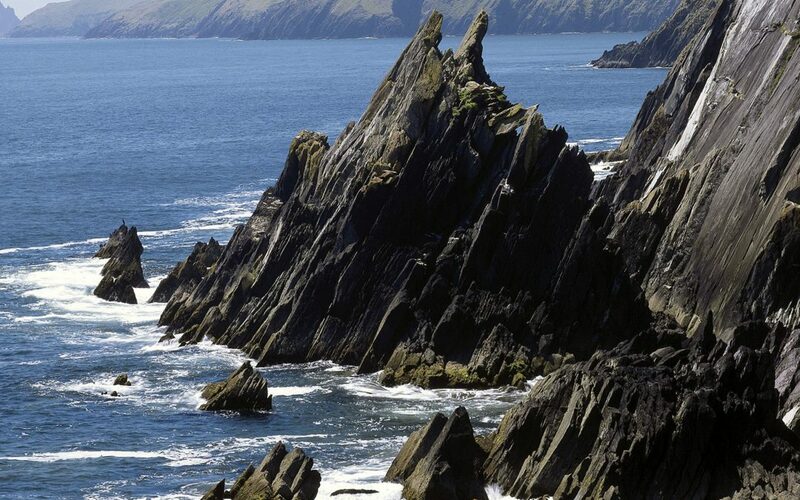 SLEA HEAD, COUNTY KERRY, IRELAND – October 1, 1997 – There’s a place on the western coast of Ireland called Slea Head. The westernmost point of Europe, it is treeless hills and sheep and tiny stone cottages and whipping winds and pounding surf, and the greenest grass you’ll ever see. I climbed out to the edge once: a couple hundred feet above the jagged rocks and crashing waves below. Sat on the soft wet grass with the rain falling down. Sat there on the green, slippery edge of the earth, wondering how I could possibly go on after her death, and thinking that if I jumped, I’d be able to see her again, right then. …I’m so very glad I decided to stay.